EDINBURG — To avoid prison time, a co-defendant in a McAllen street racing case that killed one young man and severely injured another plead guilty Thursday to one count of highway racing causing death and one count of highway racing causing serious bodily injury. In exchange, Rene Raul Ramirez III, 24, was placed on deferred adjudication and sentenced to 10 years probation, according to court records, and was ordered to pay $10,000 in restitution to the victims’ families. Marcelo Flores, 20, was killed Jan. 5, 2016, when the Corvette he was traveling in crashed into a Jeep at the intersection of 10th Street and Sprague Road. The driver of the Jeep, 26-year-old Angel Cordero Garcia, was severely injured in the collision. The driver of the Corvette, 29-year-old Ciro Manuel Treviño, had been racing Ramirez at speeds of up to 124 mph, according to prosecutors with the Hidalgo County District Attorney’s Office. Treviño was sentenced to six years in prison on the same charges in November 2017, after accepting a plea deal with the DA’s office. 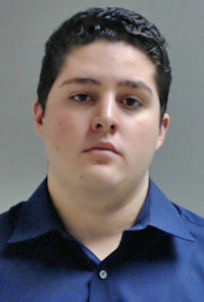 District Attorney Ricardo Rodriguez Jr. said Ramirez faced a less harsh sentence because he “disengaged and slowed down” moments before the collision, whereas Treviño “kept going forward.” He also noted Treviño had prior misdemeanor charges of accident involving damage to a vehicle and driving while intoxicated — which were ultimately dismissed — whereas Ramirez had no prior arrest history. If Ramirez successfully completes the terms of probation, he will avoid a felony conviction. The second-degree felony charges carried possible prison sentences of two to 20 years.